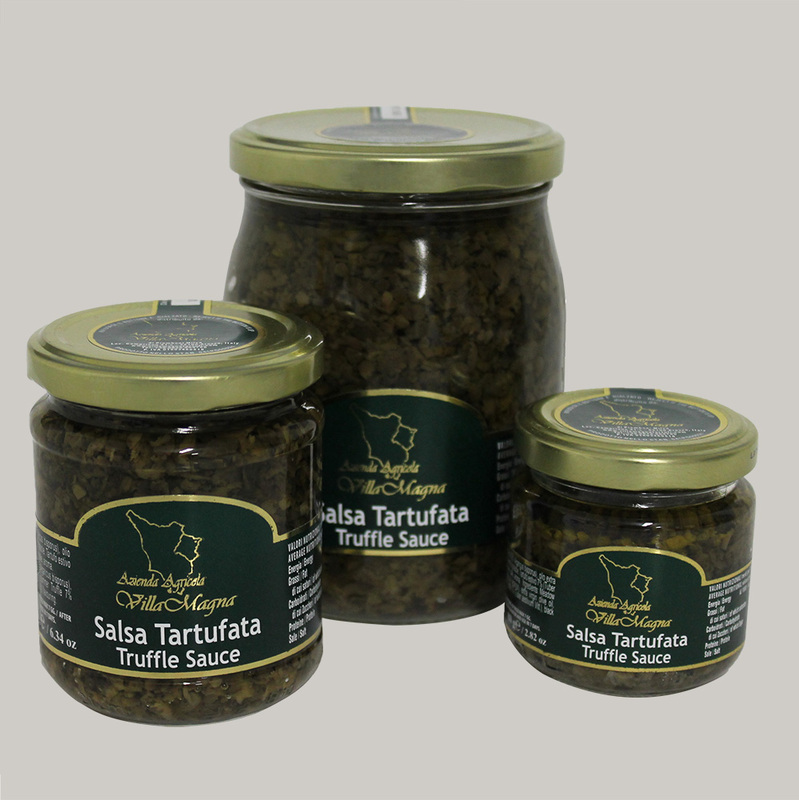 It is a speciality made of mushrooms and truffles and it is much appreciated by our customers for its versatility of use in all kinds of courses as well as for the length of time it lasts in the refrigerator after use (simply by adding some oil on to the top). It is a classical product which has been on the market for several years, and it is a real favourite with lots of people, including those who do not love the strong taste of pure truffle. It is the ideal flavouring for crostini, toasted bread, first and second courses and omelettes. We suggest using it pure, without adding other ingredients such as cream, butter or anything else; it is also possible to lightly heat it up after adding a small quantity of oil. Meadow mushrooms 50% (Agaricus bisporus), extra virgin olive oil, sunflower oil, summer Truffle (T. aestivum Vitt.) 7%, black olives, salt, flavouring.